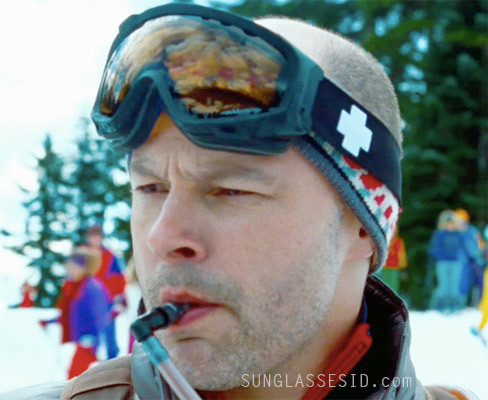 Rob Corddry wears Spy Soldier snow goggles in the movie Hot Tub Time Machine. 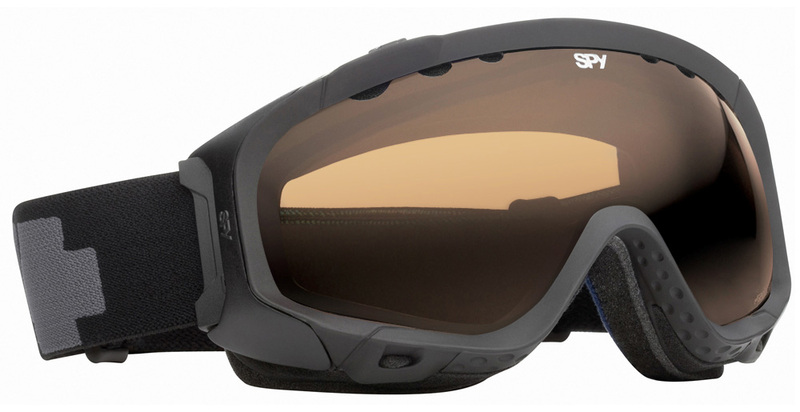 These Spy Optic goggles come in many color combinations, and this one is the Asphalt (matte black) frame with Persimmon (orange) lenses, reference number 311017374185. The version in the movie has a bright white Spy logo (the "+") on the band, but the one on the Spy Optic website has a grey logo.